I, Amaryllis of Deeper Dazzle will use my blog as a place to celebrate and encourage everyones beauty and own personal style, and will never let any negative points about other people, particularly about the way they look, be said on my site. I will never judge someone on how they look, everyone is beautiful and has their own style which should be applauded. In the past I have been my own worst critic when it comes to the way I look, but that stops today. I am out to lunch for a friend's birthday. Firstly the actual photo is taken at very close range, and I wasn't aware it was being taken, so I'm pulling a rather interesting expression.....! But even though I'm looking up it's easy to see that I am wearing a lot of very dark eye make up. When I was a teenager I did wear lots of eye make up, even when I was just spending a day at home, so I guess this photo reminds me of my own insecurities. I think the reason I'm pulling such a weird expression is because I'm about to laugh! I am at a 'formal' Christmas party! Firstly I'm a few years older and feel far more accepting about myself and don't rely on heavy make-up all the time. I am wearing a vintage dress that I found and have gone for a retro glamour make-up look, which is far more me, and more subtle (other than the lips!) Also I am having a great time and smiling which I think always makes everyone look better! 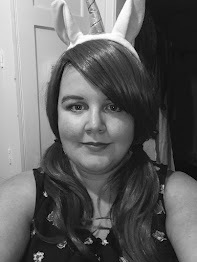 Having a flick through photos to send for the Positive Beauty Pledge made me realise how easy it is to fall into the trap of judging yourself harshly and therefore judging others too. I think she was always placed in the shadow of the other members of Girls Aloud, and she has a different look to the other girls I think she got a lot of stick for that. 2. 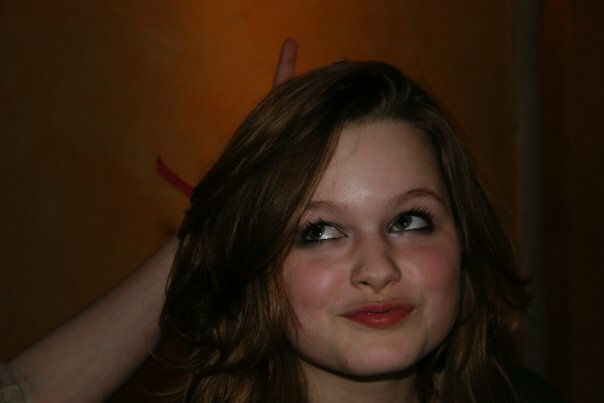 Why do you think she is beautiful? Her skin is amazing! Having overcome how own issues with being pale and using fake tan she is waving the 'pale and interesting' flag for us pale people out there! Thank you Kat for starting this Positive Beauty Pledge, it's an amazing honour to be part of a voice standing up for positive and true beauty. 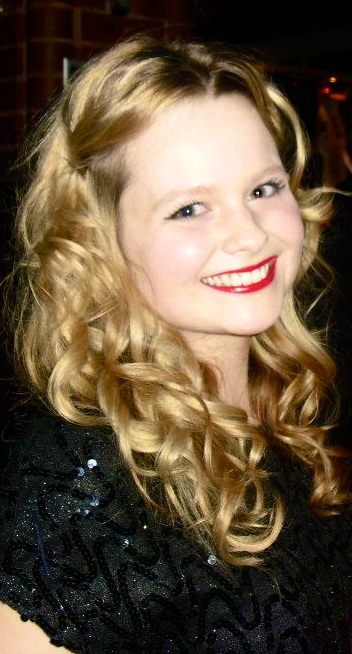 Thank you so much to Amaryllis for being the first Pledge for 2012. I always find pledge's so interesting, because we all have our hang ups, and things we don't like about ourselves, and yet when I look at everyone's "bad" pictures, I honestly don't see any of the badness in what the person has seen in themselves. It's made me realise that what I see in myself, is not necessarily what the rest of the world sees. And I'm positive that this has to be the same for everyone. It sounds corny, but everyone is beautiful. 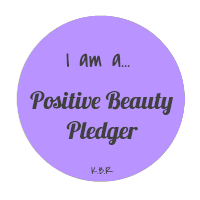 If anyone wants to take part in the Positive Beauty Pledge, then please do email me at: katmusselwhite@gmail.com. You don't have to be a beauty blogger to take part, and you most certainly don't even have to be female either.